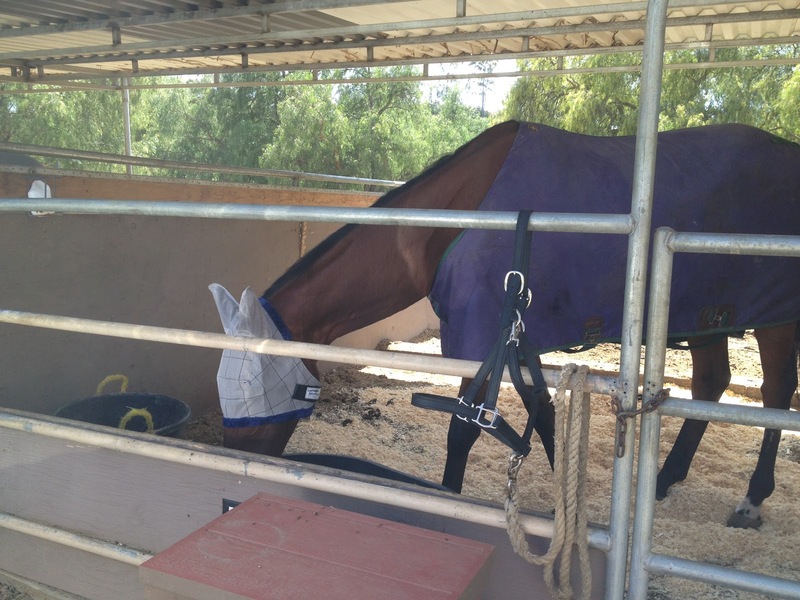 Bohemian is all suited up in a fly mask and light sheet. And no, not because of flies or of slightly chilly weather, but because of his and Storm’s dominance antics. I find at least 3 new cuts on Hemie every day. -_- I really do hope they get their pecking order sorted out soon. I’m running out of corona ointment. I tried taking some photos of us. 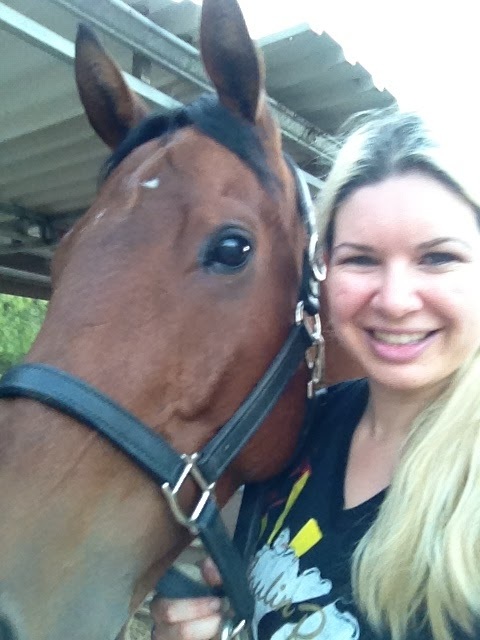 Its challenging to do the self-shot-photo when one of you has such a long face! Tonight we have a lesson – hopefully a fun report tomorrow! You guys are adorable. 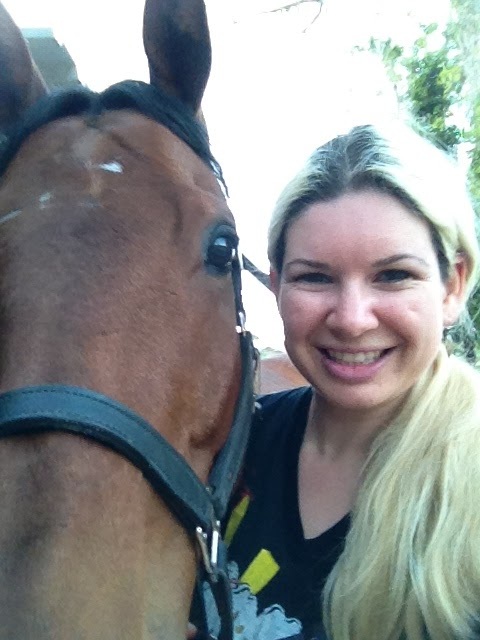 :-) Something about those OTTB boys is just super appealing.